UAP Website, dubbed as UAPWeb, is the official website and portal of the United Architects of the Philippines. It serves as an effective medium to reach out to an interconnected world, giving the online community better access to UAP information, activities, news and insights. Users of the UAPWeb outside of the Philippines who access the UAP website do so at their own risk and are responsible for compliance with applicable local laws. The UAP reserves the right in its sole discretion to refuse or terminate access to its website at any time. This TOU is a mutual agreement between you (either an individual or a single entity browsing or interacting with this Internet Site) and United Architects of the Philippines (“UAP") for its official Internet site with principal Internet address at http://www.united-architects.org. Technical aspects of the UAPWeb is developed, by Socialconz Digital, and managed and administered by the Office of the Secretary General, including its contents. By visiting, browsing or interacting with UAPWeb, you agree to be bound by this TOU. If you do not agree, do not visit, browse or interact with UAPWeb. The information contained in UAPWeb is provided by UAP and may be used for informational purposes only. By downloading any of the information contained in UAPWeb, you agree to the terms and provisions as outlined in this legal notice. If you do not agree to them, do not use this site or download Information. a. Visiting, Browsing, and Interaction. UAP grants you conditional access to visit, browse, and interact with UAPWeb as long as you abide with this TOU on your computers running validly licensed copies of software for which UAPWeb was designed. b. Ownership of Data. The Information in UAPWeb is owned by UAP and is managed by the Office of the Secretary General. This Information is protected by intellectual property rights and may not be distributed, modified, reproduced in whole or in part without prior written permission from UAP through the Office of the Secretary General. The images from UAPWeb may not be reproduced in any form without the prior written consent from UAP (from which the images were originally developed). The UAP and associated symbols, consisting the logo and the typeface, should follow the standard. It cannot be altered in any way, such as in layout, shape, font, font style, font size, position or color. When permission to reproduce materials are granted, the UAP should be acknowledged as the source of the materials. Other data used in UAPWeb, which is copyrighted by other entities are properly acknowledged within the Web page. c. Links to Other Web sites. UAP makes no representation whatsoever regarding the content of any other Web sites, which you may access from UAPWeb. When you access a non-UAP site, please understand that it is independent from the organization and that UAP has no control over the content on that site and it does not mean that UAP endorses or accepts any responsibility for the content or use of such site. Other name entities of other organizations used within UAPWeb are also protected by copyright laws and international treaties. d. Feedback and Information. Any feedback you provide to UAPWeb shall be subject to the privacy practices of this site. You can send your queries, views, comments, suggestions, greetings, and any messages - either expressed or implied - provided that you hold responsibility and will be liable for any content you send to your full knowledge and concern, in the entirety of the content. UAP, the Office of the Secretary General, UAPWeb, and its developer, are not liable and responsible for any obscene and/or illegal/illogical terms/words/topics used or against any/other individual or organization. a. Maintenance of Copyright Notices. You must not remove or alter any copyright notices on all copies or pages of UAPWeb. b. Not for Political Use. UAPWeb is not to be used in any form of politics or political agenda. 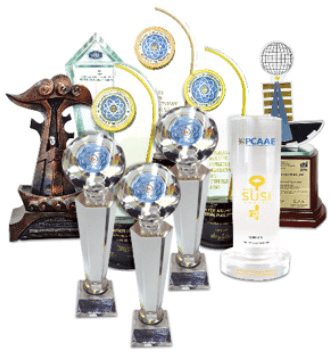 UAPWeb is professional and service-oriented by nature. c. Distribution. You must not distribute copies of UAPWeb and its Information to third parties. d. Statistics. UAPWeb reserves the right to collect the following information on the client's computer: IP address, browser tag, browser type, browser version, browser language, Mozilla version, operating system type, operating system subtype, operating system version, and robot info. These data are used for statistical purposes. e. Prohibition on Hacking, Intrusion, Reverse Engineering, Decompilation, and Disassembly. You must not hack, infiltrate, reverse engineer, decompile, or disassemble UAPWeb or any component within the UAPWeb network. Also, you must not use any special hardware or software to download all the files from UAP's Web servers (either with or without any intention to vandalize, hack, or destroy any/all UAP's online system). f. Compliance with Applicable Laws. You must comply with ALL applicable laws (local and international) regarding the use of Web sites on the Internet. g. TERMINATION. Without prejudice to any other rights, UAPWeb may terminate this TOU with you if you fail to comply with it. In such event, you must not visit, browse, or interact with UAPWeb again. h. COPYRIGHT. All title, including but not limited to copyrights, in and to UAPWeb and any copies thereof are owned by UAP. All title and intellectual property rights in and to the content which may be accessed through use of UAPWeb is the property of the respective content owner and may be protected by applicable copyright or other intellectual property laws and treaties. This TOU grants you no rights to use such content. All rights not expressly granted are reserved by UAP. i. NO WARRANTIES. UAP expressly disclaims any warranty, if such exists, for UAPWeb. UAPWeb AND ANY RELATED DOCUMENTATION IS PROVIDED "AS IS" WITHOUT WARRANTY OF ANY KIND, EITHER EXPRESS OR IMPLIED, INCLUDING, WITHOUT LIMITATION, THE IMPLIED WARRANTIES OR MERCHANTABILITY, FITNESS FOR A PARTICULAR PURPOSE, OR NON-INFRINGEMENT. THE ENTIRE RISK ARISING OUT OF USE OR PERFORMANCE OF UAPWEB REMAINS WITH YOU. Every effort has been exerted to make UAPWeb as complete, accurate and updated as possible. The authors, contributors, UAP and the Office of the Secretary General shall have neither liability nor responsibility to any person or entity with respect to any loss or damage arising from the information contained in UAPWeb. The information posted in UAPWeb comes from several offices, ares, districts and chapters. Any query or comment will be forwarded to the concerned offices for appropriate action. j. LIMITATION OF LIABILITY. To the maximum extent permitted by applicable law, in no event shall UAP and the Office of the Secretary General be liable for any special, incidental, indirect, or consequential damages whatsoever (including, without limitation, damages for loss of business or personal profits, business or personal interruption, loss of business or personal information, or any other pecuniary loss) arising out of the use of or inability to use UAPWeb. k. RESERVATION OF RIGHTS. UAP reserves all rights not expressly indicated in this TOU. l. MISCELLANEOUS. This TOU is governed by the laws stated in International Treaties. Any violation made against this TOU is punishable to the maximum extent possible under the international laws and treaties. a. Logging Practices. Our site logs do generate certain kinds of non-identifying site usage data, such as the number of hits and visits to our sites. This information is used for internal purposes by technical support staff to provide better services to the public and may also be provided to others, but again, the statistics contain no personal information and cannot be used to gather such information. We are also logging some specific technical information generated by our content server which is used for troubleshooting server functionality. Site information is used to confirm participation in the UAP programs and may be used to advise participants of the numbers of visitors who come to our site from their sites. No personal information is collected. Our Web servers automatically record domain names of the Web sites of visitors to our sites. The domain name is a web address registered for every Web site on the Internet. We record the domain names of the sites that users visited immediately prior to the UAPWeb. The Web servers keep track of the pages visited on the UAP Web and the amount of time spent on those pages. UAP only uses this information for statistical purposes, to find out which pages users find most useful and to improve the website. b. Cookies. The UAPWeb is not set up to track, collect or distribute personal information not entered by visitors. A cookie is a small amount of data that is sent to your browser from a Web server and stored on your computer's hard drive. UAP uses non-identifying cookies to provide easier site navigation and access to forms. Cookies used by UAP are session based and therefore only last for the duration of the user's session. Cookies created by UAP are stored on UAP server and not on user’s browser. The cookie is used to keep user ID generated by the server after user sign in to the system. You can still use UAPWeb if your browser is set to reject cookies. Our cookies do not generate personal data, do not read personal data from your machine and are never tied to anything that could be used to identify you. c. External Links Disclaimer. UAP provides links from our Web pages to external Web sites because they provide information that may interest our members. This is provided as a convenience only. External links do not constitute an endorsement by the UAP of the opinions, products, or services presented on the external site, or of any sites linked to it. UAP is not responsible for the legality or accuracy of information on externally linked sites, or for any costs incurred while using externally linked sites. External links are intended to support UAP’s mission. They are not intended to support private or commercial organizations or businesses. Links to .org, .gov, .edu, .ph or other non-profit sites that share architectural interests inherent to UAP’s mission are encouraged because of their general non-commercial, public-interest nature. Links to .com, .net, and other commercial domains are acceptable if supportive of customers’ needs and relevant to UAP’s mission. Links to external web sites may be removed if the Web sites lobby or solicit UAP organization on positions of fiscal or political nature, or if they receive funds or revenue for volume of traffic delivered from UAP to the external site where the site is not an official partner of UAP. UAP reserves the right to review links and add or remove links at any time for any reason consistent with UAP Policy and Guidance. When you link to an outside website, including the social networking sites, you are leaving the UAP Web site and the UAP's information management policies no longer apply. UAP encourages you to read the privacy statement of each and every website that you visit before you provide any personal information. Should you have any questions concerning this TOU, or if you desire to contact UAP for any reason, please do so.